Yesterday, Econotimes reported that Bitcoin’s value was projected to drop as the Relative Strength Index showed that overbought levels went over the 70 mark. Now, the leading cryptocurrency’s price has indeed fallen as it’s currently trading at $7,925, down from its value of $8,225 yesterday. While this may look like the sign of another bearish run, Galaxy Digital CEO Michael Novogratz is still optimistic that Bitcoin will do well in the remaining months of 2018. Novogratz's company lost $134 million in this year’s first quarter alone as Bitcoin’s value dropped from $19,000 to the price it currently has, CNBC reported. At the end of March, Galaxy Digital had $281.7 million in assets and $225.8 million of that exists in the digital space. According to reports, Novogratz placed $302 million of his own assets in the company, which makes the CEO quite the crypto bull indeed. But even with Novogratz’s optimism, Bitcoin is yet again being pushed around by the bear market. 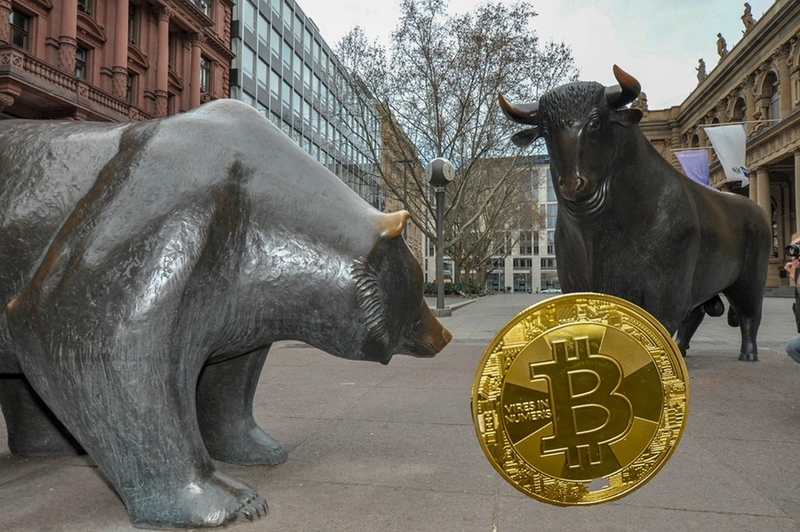 One of the reasons for the bear’s return is the refusal of the U.S. Securities and Exchange Commission (SEC) to list Bitcoin as an exchange-traded fund (ETF), as pushed by investors Cameron and Tyler Winklevoss. However, the SEC released a statement that the recent rejection doesn’t mean it views cryptocurrencies and blockchain as something negative. The agency explained that its refusal is centered on the investors’ proposal. “The Commission is disapproving this proposed rule change because, as discussed in detail below, BZX has not met its burden under the Exchange Act and the Commission's Rules of Practice to demonstrate that its proposal is consistent with the requirements of the Exchange Act Section 6(b)(5), in particular, the requirement that its rules be designed to prevent fraudulent and manipulative acts and practices,” the SEC said. The agency has already said in the past that it doesn’t perceive Bitcoin and Ethereum as securities and will not regulate them as such. As for the price correction, Coindesk predicts that should the bears continue to impose their will on Bitcoin then support levels at the $7,830 and $7,530 marks will counter the downturn. Crypto bulls speculate that Bitcoin’s value will at least end the year with a $10,000 valuation and could even soar to $22,500 if the SEC approves a Bitcoin ETF.